“No Show”: Plaintiff on the hook for missed appointment due to her own actions | Golden Rothschild Spagnola Lundell Boylan Garubo & Bell P.C. By: Daniel B. McMeen, Esq. and Jennifer L. Startzel, Esq. In a recent published Law Division decision from Atlantic County, McInroy v. Village Supermarket, Inc. t/a Shoprite of Hammonton, NJ, No. ATL-L-182215 (Sup. Ct. N.J. Law Div. August 25, 2016), the Trial Court found that the Plaintiff, Anne McInroy, was required to pay a fee to the doctor hired by the Defense to complete an independent medical examination (IME), after she missed three scheduled appointments. On August 10, 2015, Plaintiff filed suit against the Defendant, alleging the she slipped and fell in their store, Shoprite of Hammonton. Defendant initially scheduled Plaintiff’s IME with Dr. John A. Cristini, an orthopedic surgeon with an office in Linwood, New Jersey, for May 31, 2016. Plaintiff missed the first appointment and it did not appear that she made any attempt to contact Dr. Crisitini’s office to inform him. 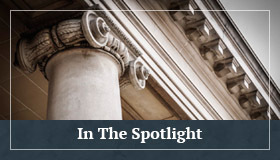 Plaintiff stated that she missed the appointment because although she did not drive and her attorney had arranged for a taxi cab to transport her to the appointment, she also suffered from Chronic Obtrusive Pulmonary Disease (COPD), and had a severe attack that day. The COPD was unrelated to the slip and fall. She alleged that the attack prevented her from attending the appointment on May 31, 2016. It did not appear that Dr. Cristini’s office charged Plaintiff a cancellation fee for this first missed appointment. Next, on June 16, 2016, the Defense sent a letter to Plaintiff, scheduling a second IME appointment with Dr. Cristini on July 12, 2016. Plaintiff’s attorney did not suggest that the day, time, or location were inconvenient for Plaintiff. However, once again, Plaintiff missed the appointment. On July 12, 2016, Defendant was informed that Plaintiff did not appear for the second appointment and Dr. Crisitini’s office then forwarded an invoice to Defense counsel in the amount of $375.00, the fee for missing an appointment. On July 16, 2016, the defense again notified Plaintiff and scheduled a third date for her IME with Dr. Crisitini, this time on August 9, 2016. Plaintiff did not offer any explanation for missing the July 12, 2016 appointment. Included in the July 16, 2016 letter to Plaintiff from Defendant, was a blurb advising her of Dr. Crisitini’s cancellation policy. The policy required all cancellations to be made at least two weeks prior to the examination and noted that if a cancellation were made less than fourteen business days prior, a fee of $375.00 would be charged. Plaintiff did not appear for the third appointment on August 9, 2016. She stated that since she did not drive, she made arrangements to stay with her daughter the night before the appointment; her daughter lived closer to Dr. Crisitini’s office. However, her daughter had several pets, which caused Plaintiff to become very ill that night before and unable to travel to and appear for the appointment on August 9, 2016. The court noted that Plaintiff did not seek any medical treatment related to the alleged illness nor was she unaware prior to making the overnight arrangements that her daughter had such pets. Finally, Plaintiff did not indicate that she attempted to contact Dr. Crisitini’s office on the day of the third missed appointment. Thus, Defendant filed a motion to compel Plaintiff to pay the $375.00 missed appointment fee that was charged by Dr. Crisitni’s office. In opposition, Plaintiff argued that she should not be responsible for the fee because her only source of income was Social Security Disability and would create a financial hardship. She further asserted that the Rules of Court did not require her to be bound by Dr. Crisitni’s cancellation policy. The Defense responded that Plaintiff was aware of the cancellation policy and did not object to it and that Defendant should not be responsible for the fee because whether or not Plaintiff attended the IME was out of its control. The court may, on motion pursuant to R. 4:23-5, either compel the discovery or dismiss the pleading of a party who fails to submit to the examination, to timely move for a protective order, or to reschedule the date of and submit to the examination within a reasonable time following the originally scheduled date. It was also noted that there were no reported cases in New Jersey regarding orders compelling reimbursement of missed appointment fees charged by doctors who completed IMEs. Rather, Trial Courts have the inherent discretionary power to impose sanctions for failure to make discovery, subject only to the requirement that the sanctions are just and reasonable given the circumstances. The Court concluded that although the Rules of Court did not expressly authorize it to compel the payment of a missed appointment fee by the party who failed to appear for the scheduled IME, since the failure to appear for a properly noticed IME is a discovery violation, it was within the Court’s discretion to impose a sanction that would erase the prejudice to the non-delinquent party. It was noted that Plaintiff did not establish reasonable circumstances for missing the two later scheduled appointments and that she had previously been informed of the $375.00 cancellation fee. Furthermore, although the Court acknowledged that such a sanction may be a financial hardship to one whose sole income is Social Security Disability, in these circumstances, Plaintiff alone was the one responsible for missing the appointments and failed to proffer a reasonable explanation. The Court noted that Dr. Cristini presumably lost revenue as a result of setting aside an appointment time for Plaintiff and then not being able to utilize that time when she did not appear. The Court reiterated that it has general discretion to impose discovery sanctions so long as they are just and also to make the non-delinquent party whole. Since Defendant had no control over whether or not Plaintiff appeared for the scheduled IME, the Court held it was appropriate to compel her to pay the $375.00 cancellation fee. The potential impact of the Trial Court’s decision in McInroy is generally favorable to Defendants in certain situations: if a Plaintiff is properly noticed for an IME, then he or she may be compelled to pay any cancellation fees if he or she fails to appear. However, this particular instance appears rather fact-specific: Plaintiff was aware of the cancellation policy and provided no reasonable explanation for missing the later appointment for which the fee was charged. Furthermore, this is a Trial Court decision, and thus not precedential and non-binding on Courts outside of Atlantic County. Therefore, in New Jersey, Defendants should inform Plaintiffs of any cancellation policies of the IME doctor and determine why that Plaintiff did not appear, if an IME is missed. Future instances regarding compelling a Plaintiff to pay a missed IME cancellation fee will likely turn on whether or not the Trial Court considers a Plaintiff’s explanation reasonable. Jennifer L. Startzel, Esq. is an Associate in GRSLB&G’s Litigation Department. 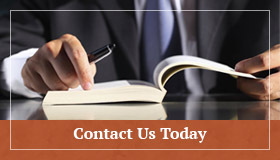 She defends a wide variety of clients in various civil actions brought forth in New Jersey State and Federal Courts. Jennifer can be reached at jstartzel@grsl.com.